What is the Homegrown By Heroes Label? 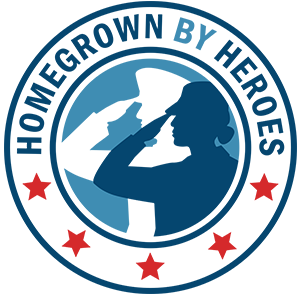 The Homegrown By Heroes (HBH) label is the official farmer veteran branding program of America. The label serves to inform consumers that agricultural products donning the logo were produced by U.S. military veterans. Additionally, farms and agricultural businesses displaying the logo denotes a Homegrown By Heroes-certified operation. In order to apply for Homegrown By Heroes certification, you must first become a member of Farmer Veteran Coalition. 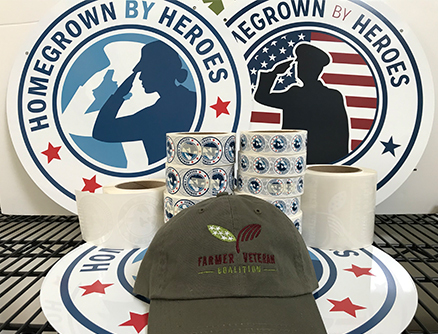 If you’re already a member of Farmer Veteran Coalition and you’re ready to join more than 1,100 Homegrown By Heroes-certified producers around the nation displaying the label, click the button below to apply now. 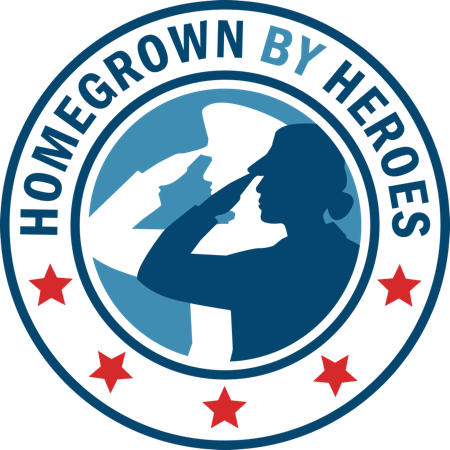 The Homegrown By Heroes label differentiates veteran-produced products in competitive markets. It provides consumers a tangible way to support veterans. America loves her veterans and there is no better way for citizens to show their support than by purchasing the fruit of their labor. 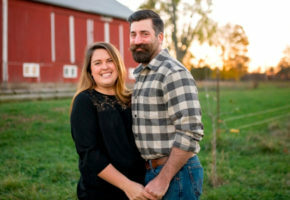 Displaying the label–for example, on your farmers’ market stand, egg cartons, canned goods, produce boxes, etc.–gives veterans the point-of-sale visibility needed to be successful in the marketplace. Displaying the logo on a farmers’ market stand–or anywhere you do business–invites consumers to ask about the label, providing an opportunity for the veteran to share their story and connect with their customers. In many cases, this leads to loyal, returning customers. Homegrown By Heroes brand awareness is growing rapidly as a result of national publicity and exposure. Your products will be associated with a unique and honorable food label, giving you a competitive advantage. 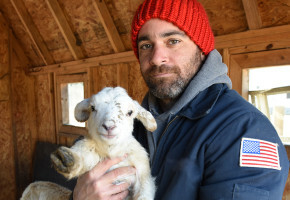 Founded by the Kentucky Department of Agriculture in January 2013, the Homegrown By Heroes label has been administered nationally by Farmer Veteran Coalition since Veterans Day of that same year. Since then, the program has expanded to include more than 1,100 members in all 50 states plus Puerto Rico. Homegrown By Heroes is supported by several national agriculture and food safety leaders such as the United States Department of Agriculture, Farm Credit and the American Farm Bureau. 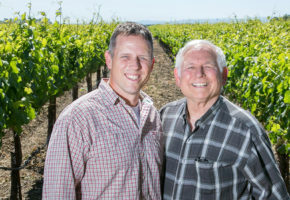 Several State Departments of Agriculture have officially partnered with the Homegrown By Heroes label to produce a merged label combining elements of the state’s own ‘Buy Local’ label and the Homegrown By Heroes label. 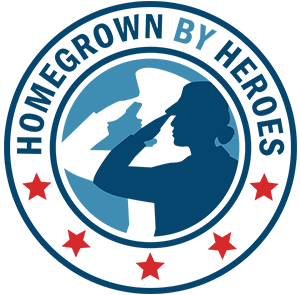 In order to display your state’s merged logo, you must first become certified with the Homegrown By Heroes label before certifying with your state’s department of agriculture. See below which states have created a merged logo–click on the logo to go to that state’s ‘Buy Local’ website. Other states have partnered with the Homegrown By Heroes label and have elected to promote it separately, but in harmony with their own ‘Buy Local’ labels. Homegrown By Heroes-certified producers who need signage, packaging labels and hi-res logo files should visit the Homegrown By Heroes Marketing page by clicking here. We offer 18-inch, double-sided, aluminum signs; 1-inch, 1.5-inch and 5-inch labels; and a 2.5-inch car decal. Need HBH marketing materials? We have 18-inch metal signs; 1-inch and 1.5-inch labels; hats and car window decals for sale. Must be HBH certified to purchase signs and labels. Received an ‘Honorable’ or ‘General (Under Honorable Conditions)’ characterization of service upon discharge from the military and can provide proof by submitting a Department of Defense Form DD-214. Veterans with a characterization of service of ‘Other than Honorable’ may be eligible based on a more thorough review of their individual situation. Agribusinesses and farming operations must maintain a minimum of 50% veteran ownership and a minimum of 50% veteran management control. Value-added products must contain a minimum of 50% non-water ingredients produced by an HBH-certified producer. Renewal – Certifications under the Homegrown By Heroes label must be renewed every three years pending a review of any changes to business ownership, and/or product makeup. Do business with a Homegrown By Heroes-Certified producer? 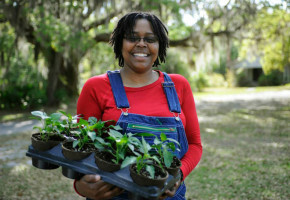 Want to do business with a Homegrown By Heroes-certified producer? Or are you a restaurant or other business that currently buys from an HBH-Certified producer? Reach out to our team to learn more.